The Pyramids were formed in the mid-sixties by six young British-based musicians. The band were also known at various stages of their career as The Bees, The Pyramids, Seven Letters and Zubaba. In the mold of The Equals, they began their career as a straight "pop" group, consisting of founders Frank Pitter, Michael Thomas, Josh Roberts, Ray Knight, Monty Naismith and vocalist Roy Ellis and were signed to President Records. In 1968, President bagged their first Number 1 with “Baby Come Back” by The Equals, featuring a teenage Eddy Grant on lead vocals. At the request of his label, Grant had also been working with the Pyramids, who had backed Prince Buster on a recent U.K. tour. 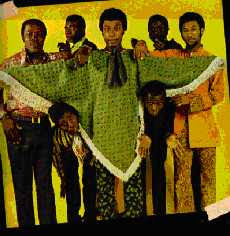 Besides composing songs for the band (and one for Prince Buster himself, the rude classic "Rough Rider" which was later covered by The Beat), Grant also produced several tracks for The Pyramids in 1969 including the band's debut single and sole hit, "Train to Rainbow City" which appeared on their self-titled LP. According to sleeve notes from a best-of collection released by Trojan Records, The band’s relationship with President soured when their record ‘Mexican Moonlight’ was a hit in Germany, but the label neglected to tell them about it. As a result, the band decided to rename themselves so that they could record elsewhere without President Records knowledge. Organist Monty Neysmith came up with a plan: ‘I came up with the idea of turning Pyramids around and you leave out the ‘d’. So originally it was spelt Simaryp. I don’t know how it came to be spelt Symarip!’ So in 1969, safe in the knowledge that Presidnet Records would never unravel the secret of their true identity, Simaryp/Symarip prepared to record for their new label, Graeme Goodall’s Treasure Isle - whose chief label was ironically called Pyramid! The band then recorded their first album as Symparip in 1970 and immediately became the face of "Skinhead Reggae" with songs like "Skinhead Girl", "Skinhead Jamboree" and "Skinhead Moonstomp", which is based on the Derrick Morgan song, "Moon Hop". According to Neysmith, the band noticed a new element coming to their live shows: Skinheads. ‘A lot of skinheads started coming to our shows, and Roy and I said, it would be good to write a song for skinheads. We remembered a song [‘I Thank You’ by Sam & Dave] where they said, ‘I want everybody to get on their feet, and this and that, and give me some of that old soul music’. I thought, let’s change the words and put, ‘I want all you skinheads to get on your feet, put your braces together and your boots on your feet, and give me some of that old moonstomping’. In 1980, the album Skinhead Moonstomp was re-issued in the wake of the 2 Tone craze, hitting the UK pop charts for the first time and a whole new generation of fans were introduced to their sound. 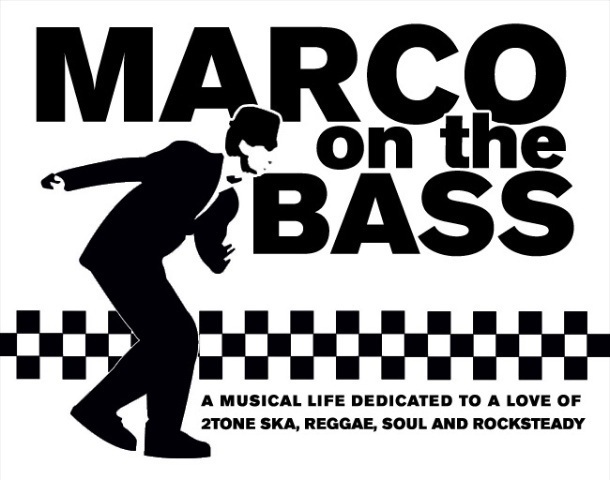 The Specials further expanded their name and popularity of Symarip by recording a live cover version of "Skinhead Moonstomp" as part of a medley of 60's reggae songs on the B-side of their "Specials Live EP" which hit number one in the UK charts. Amazingly Ellis and Neysmith have reformed the band and plan to perform around the UK in 2008-09. They will perform a show on Friday October 31st at The Hootananny in Brixton, London. You can get ticket information here. There must be something in the water in the UK that's causing all these bands to reform. Here is the track list and a download to their 1969 LP "Skinhead Moonstomp" that was reissued in 1980 during the height of 2-Tone"
Hopefully Universal won't come knocking on your door, they just reissued a "Deluxe Edition" of this album. Also, various members of the band have been touring/recording as some form for years now, including shows by Monty in Brooklyn a couple years ago. Roy Ellis is playing in Chicago this month I think, and has an album out on Jump Up! Oh, and on an unrelated note, can you put up a post with all the bigger thomas albums? I had one, but sold it and I'd like to get the new stuff you've recorded too! Thanks for this piece. Great news that Symarip is coming back. There is *definitely* something in the water. That great skinhead reggae sound is getting big in Europe and now here in the States. In no small part due I think to The Aggrolites. Some new skinhead/soul reggae sounds also starting a fire in New York. The Hard Times are proud to be a part of that, but we've also got great compadres with The Forthrights, The Equilibrians, and of course The Slackers as always.